The Raspberry Pi (RPi) is a low cost, credit-card sized computer that plugs into a monitor or TV, and uses a standard keyboard and mouse. It is a capable little device that enables people of all ages to explore computing, and to learn how to program in languages like Scratch and Python. There are several different operating systems for the Raspberry Pi from Windows 10 to variations on Linux. The operating system is the base software that runs a computer. It handles the interface to monitor, network communication, and general input from devices like a keyboard and mouse. It is the software that runs the software. The recommended operating system for a beginner using the Raspberry Pi is called Raspbian Linux. Linux is an open-source operating system that is very configurable and easy to modify. It has a very familiar windows / mac os X look and feel. Next, connect your RPi to an HDMI monitor, keyboard, mouse. And, finally connect power. The Pi should boot up in about 15 - 20 seconds. Follow the installation instructions. It takes about 20 minutes to complete. 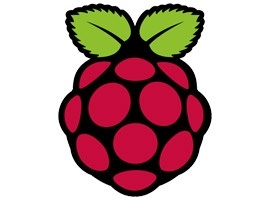 The Raspberry Pi Foundation originates from the UK. Because of this, the default settings are all set for the UK. We'll need to update a few settings so that things run smoothly with our keyboard, WiFi, and other peripherals. After the operating system installation is complete and the RPi reboots, complete the following steps. Click on the Interfaces Tab. Here, you can enable or disable a variety of interfaces for the Raspberry Pi. These will allow the Pi to access certain hardware or for you to access the Pi through a network. Here are our recommended settings to set to enable. Enable Serial (Allows direct connection to the Pi to communicate / control through a terminal. Click on the Localisation (yes, it's British) Tab. Here, you will set the locale, time-zone, and keyboard settings to match your geographic area. Click on the WiFi icon on the upper-left corner. Select the WiFi network or connect via a direct Ethernet cable to the RPi. Type in the following command(s). This will run the system update as a super user (sudo). Open up a web browser and type in this URL: https://git.io/vMS6T It will download a file called install_scratchgpio8.sh. This is a shell script that will install the necessary files for ScratchGPIO8. If you're new to Linux, don't worry. These are two simple commands. The first changes the directory (cd) to the Downloads folder. The second command executes the shell script using super user mode: sudo (super user do) - bash is the name of the shell or base command line system that executes the script (xxxx.sh file). The screen will fill with a sequence of text and script that is executed. You'll see a few icons appear on the desktop for ScratchGPIO8 and ScratchGPIO8Plus. For all of the Scratch activities, you'll want to use ScratchGPIO8Plus.